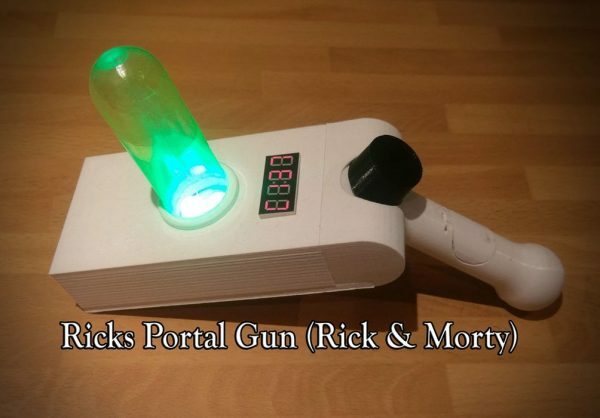 Rick and Morty Portal Gun « Adafruit Industries – Makers, hackers, artists, designers and engineers! 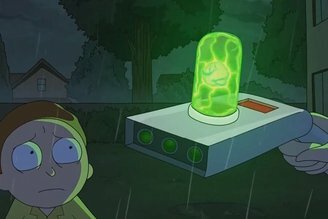 As a massive Rick and Morty fan I really want a Portal Gun of my own, having looked about the current existing projects I thought I could add some extra features! 2. The display must be able to cycle through infinite dimensions and the key ones from the show! 3. Must be able to fire the portal gun causing front panel to light up indicating portal generation! 5. Needs a self destruct button hidden in the handle! 7. Must look like the portal gun!